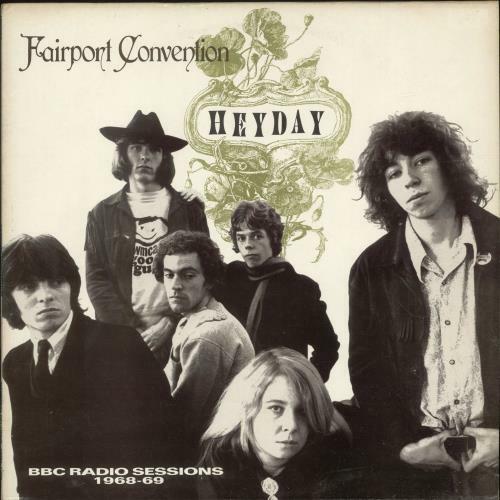 FAIRPORT CONVENTION Heyday (1987 UK 12-track LP, pressed in France for the UK market, containing BBC radio sessions recorded in 1968 & 1969 & featuring the late great Sandy Denny, including those for John Peel's Top Gear Show, picture sleeve designed by Phil Smee with liner notes from Joe Boyd on the reverse. 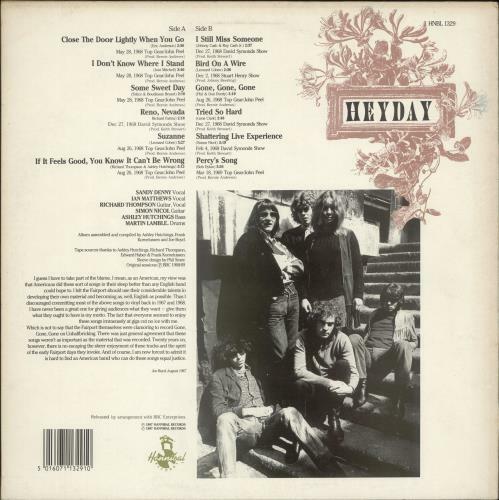 The sleeve has a few light storage marks, whilst the vinyl appears barely played HNBL1329). or visit our Fairport Convention image gallery.